Walmart is stepping up their fashion game. 1. A pom-pom lined tee you'll have everyone cheering for. 2. A lacy dress you won't want to wait to wear to a fancy event. You're about to be the best dressed person at the grocery store. This, like a lot of things on the list, is from Walmart's new Lord & Taylor partnership! Get an extra 20% off designer clothes with the code: LORDANDTAYLOR. 3. A periwinkle faux leather jacket for bikers who still want to dress like an Easter egg. 4. A delicate top with a tied bow that's almost too cute for words. 5. 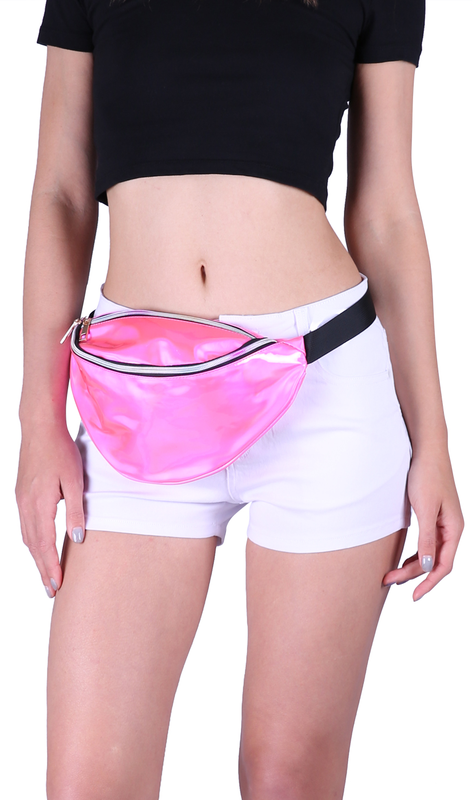 A pair of pink belts, because every outfit could benefit from a little extra sparkle. 6. A crochet trimmed top you'll feel crafty about wearing when people assume you paid way more for it. 7. A pair of sushi socks that are ~soy~ cute, you'll get on a ~roll~ and buy several pairs. 8. A striped rose top you can buy even if your budget situation is kind of thorny. 9. Or a rose applique sweatshirt, because you're a delicate flower and your office gets COLD. 10. A fringe hem top sure to encourage some hip shaking. 11. A bodysuit with a mesh panel you can ~clearly~ see is a real winner. 12. A lettuce-edge tee you'll love WAY more than that salad you had for lunch. 13. A pair of pale yellow grazer jeans with little flowers that will make you ~spring~ for them, even though it's technically summer. 14. 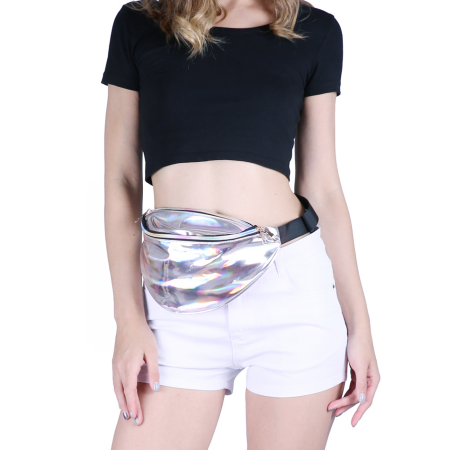 An iridescent fanny pack for concert goers who want to keep their hands free in case a crowd surfer comes their way. 15. An off-the-shoulder top so your shoulders can finally get some fresh air. 16. A cold-shoulder jean jacket for those days when you're not sure what the weather has in store. 17. And a cold-shoulder romper that's better than most dresses, because POCKETS. 18. A bucket clutch — ~wooden~ it be nice to try a different kind of bag this summer? 19. A flower-dotted tee you'll want to wear all the daisy of the week. 20. A charming peasant top you can wear to one of your many upcoming BBQs. Inexpensive clothing means more money for hot dogs and quinoa burgers. 21. Chunky sandals that will give you the blues in the best way possible. 22. A pair of sunglasses you should totally get because you always need a pair when you don't have any. 23. A striped bell sleeve you'll be ~ringing~ home about because it's so cute.